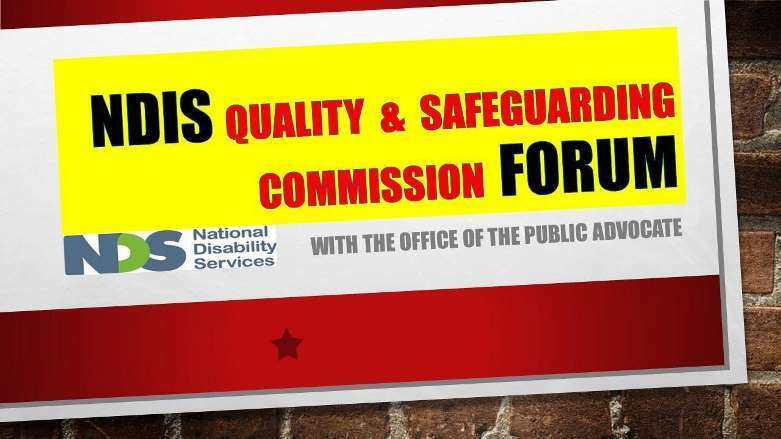 NDS are pleased to invite you to hear from the NDIS Quality and Safeguarding Commission and the Office of the Public Advocate in at the Regional Development Australia Whyalla and Eyre Peninsula Whyalla office. The NDIS Quality and Safeguarding Commission will speak on the topics of Behaviour Sport, Restrictive Practices, PBS Practitioner Registration and Competency Framework. The Office of the Public Advocate will speak about its role and the role of SACAT in relation to the NDIS. This FREE workshop includes a light lunch. Please register for the forum on the Eventbrite Link, before COB 7th February 2019.